CSS is a powerful language used for making creative and attractive websites. Sassy CSS (SCSS) adds some powerful benefit to CSS that makes it more fantastic language by extending CSS and adding great features such as variables, mixins, nesting and much more. SCSS extension, i.e, file ending with “.scss” allows for more concise styling along with CSS. 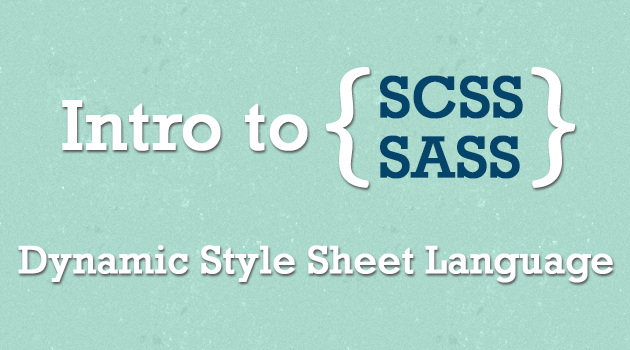 SCSS is the syntax for Sass. Every valid CSS3 stylesheet is a valid SCSS file with the same meaning and it extends all the features and functionality of CSS. Here are some simple yet effective and useful CSS tips and tricks for beginners. Here are some simple yet effective CSS tips for beginners. In computer programming, naming convention might be considered as a set of rules for choosing the identifiers to denote variables, types and functions & methods names in source code and project documentation. The purpose for using this naming convention is only to reduce the effort needed to read and understand the source code and to also to enhance the code appearance by using appropriate and concise keys.